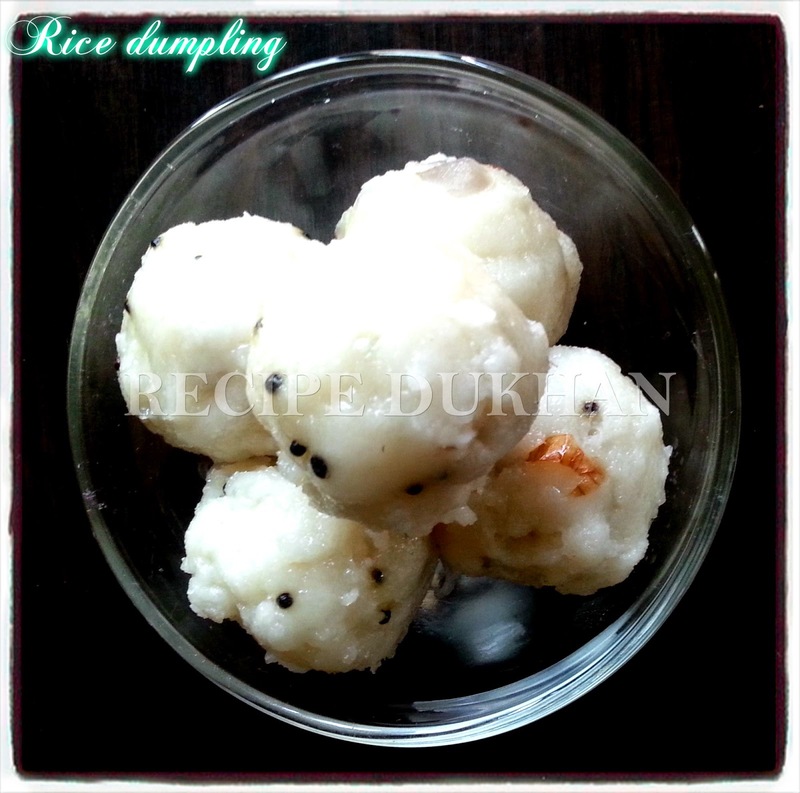 Rice dumpling(Pundi) is one of the traditional authentic dish. Rice dumpling is always well suited for chicken gravy...some how it is a break fast recipe so we are enjoying Rice dumpling(pundi) with coconut chutney or some other samber. Making dumpling is so simple and easy to cook.There are different method of making rice dumpling(pundi), like boiled rice dumpling,White rice dumpling.But I usually make this dumpling(pundi) with white rice. The later one will take less time than earlier. Grind the rice add little water if required. Make a batter with rough texture. Add onion let it turn golden. Now add 2 glasses of water and salt to taste and bring it to boil. After water boiled add ground batter and keep mixing the mixture. Cook this mixture over a medium flame stirring continuously. Now allow them to cool. Take thick batter and make small lemon sized balls. Put a 2 glass of water in a cooker use a idli plate. Keep these balls and steam it for 10-15 minutes.